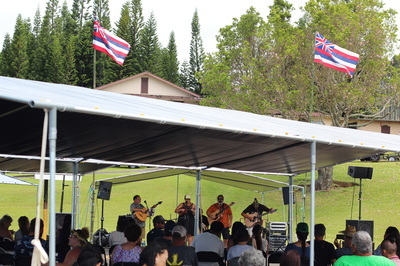 Hundreds Gather in Paʻauilo to Celebrate Lā Hoʻihoʻi Ea, 2016. “Then the brothers and sisters sang along, till everybody knew that song: Ua mau ke ea o ka ʻāina i ka pono. 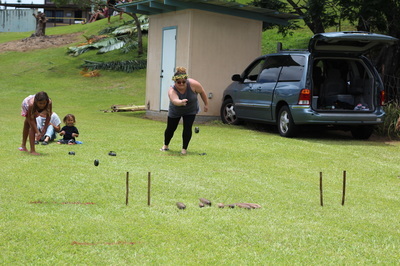 ʻOnipaʻa! 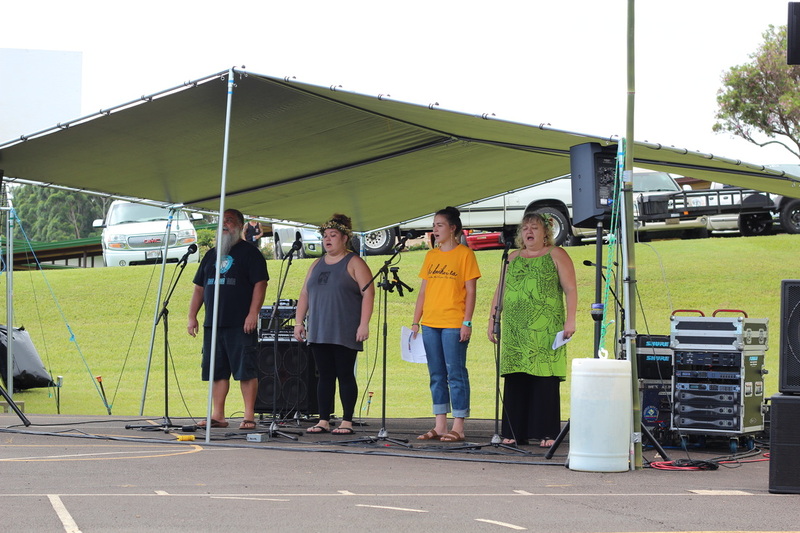 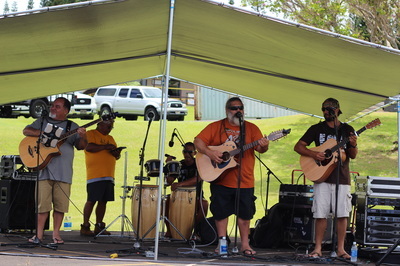 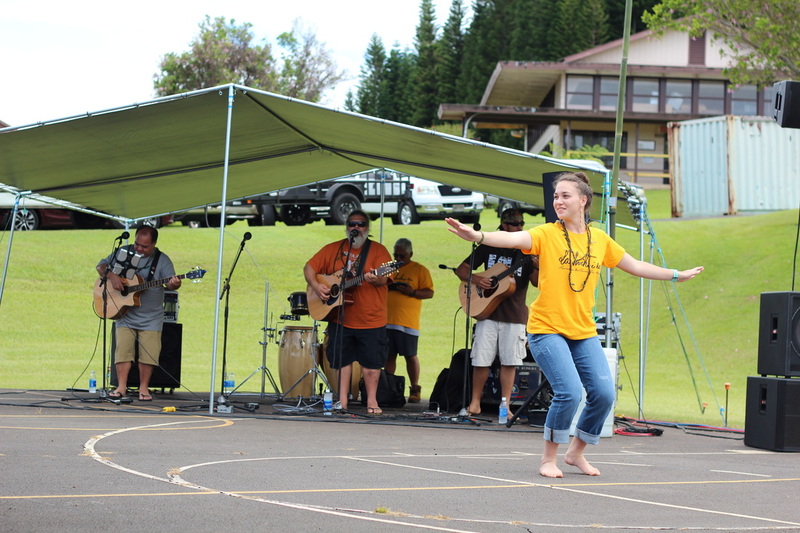 Ua mau ke ea o ka ʻāina i nā ʻōpio...” The sounds of ea filled the cool air on Sunday July 31, as people of all ages from across this Pae ʻĀina and around the world gathered in Paʻauilo, Hāmākua, to celebrate Hawaiʻi’s first national holiday, Lā Hoʻihoʻi Ea. This community hoʻolauleʻa, organized by Hui Mālama i ke Ala ʻŪlili (huiMAU), featured conscious Hawaiian music by famed Hawaiian musicians and educators, Jonathan K. Osorio, Jamaica Osorio, Ho-a (Kīhei Nahale-a, Sean Nāleimaile & Kamakoa Lindsey-Asing), Kainani Kahaunaele, and Hāmākua’s own, Ryan Hiraoka & the RSP crew. All day here in Paʻauilo, Hawaiian music and oratory danced on the breeze alongside playful children and watchful kūpuna, telling stories of times past and birthing new stories for the generations to come. 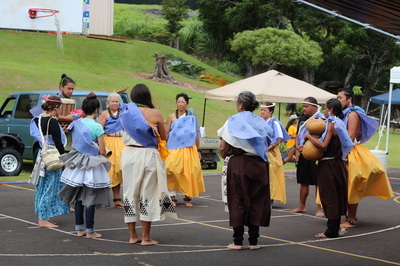 ​“Our mele (songs, chants) kept our stories.” Kainani Kahaunaele explained, as she introduced her first mele of the day. 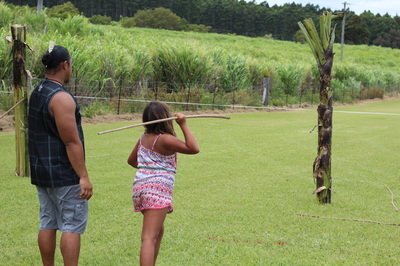 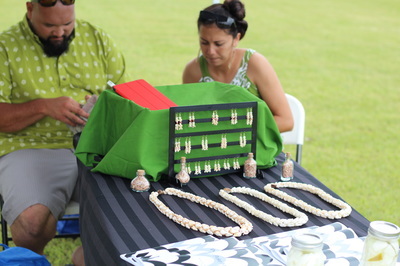 “Our mele kept the way we think, the way we feel. 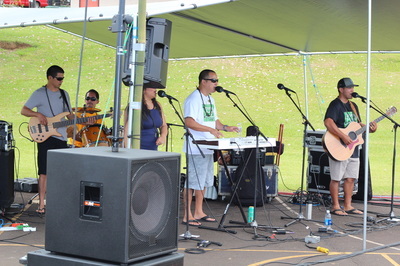 The mele is full of the information that teaches us what is the right way to behave, what is ʻono, what is beautiful, what is not so good.” In addition to being a Nā Hōkū Hanohano Award-winning musician and songwriter, Kahaunaele is also an educator of Hawaiian language, music, and composition at UH Hilo. 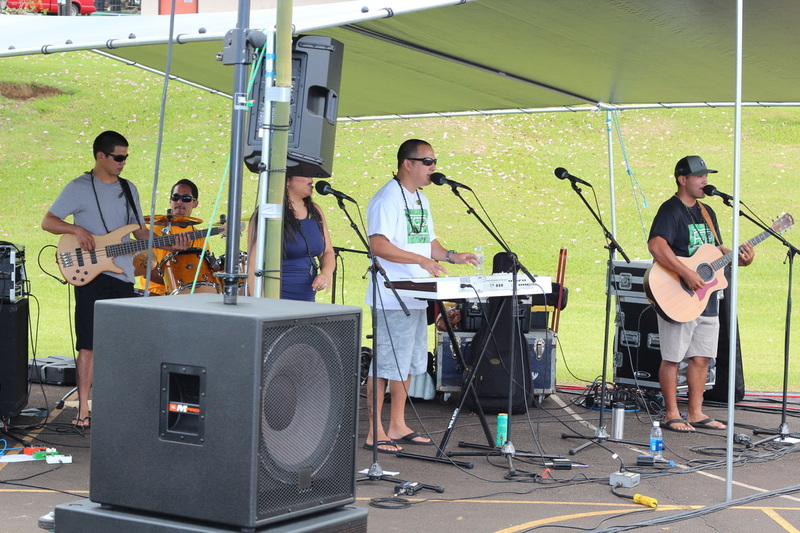 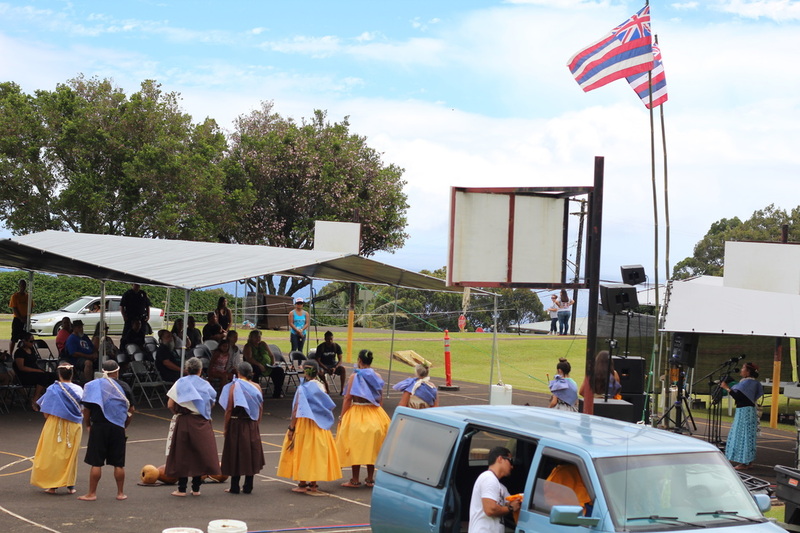 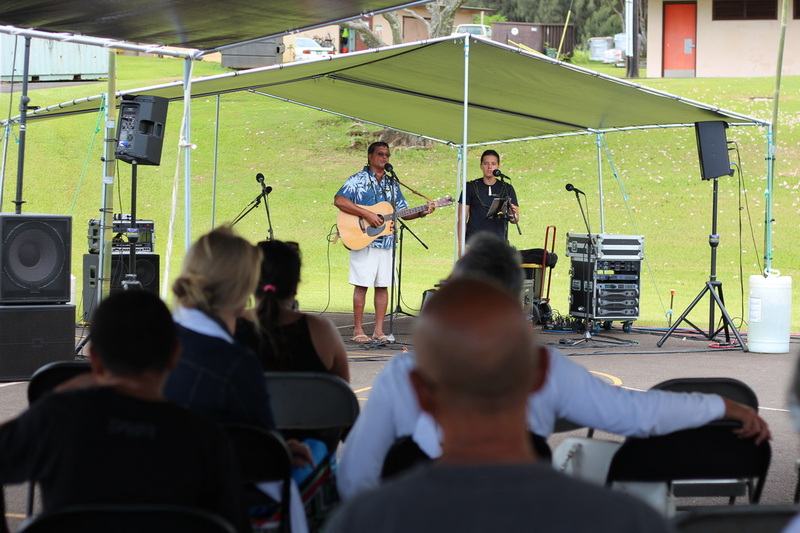 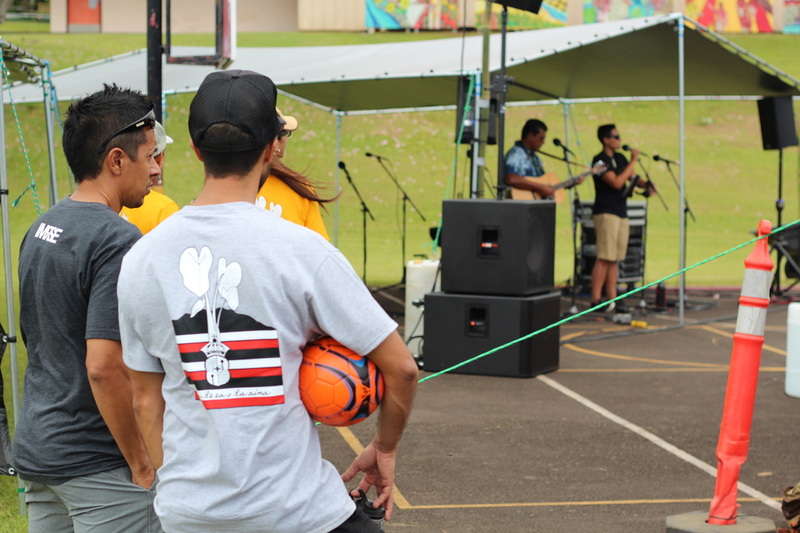 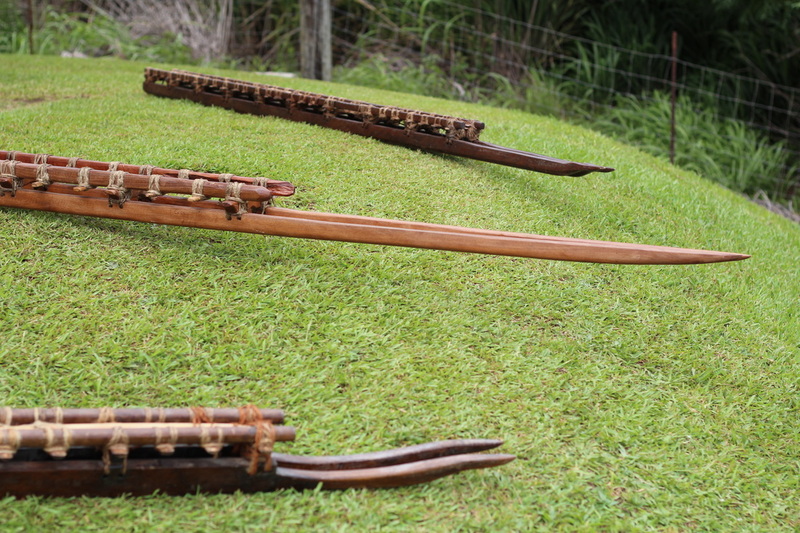 Education, or ea-ducation, was a powerful theme of this Lā Hoʻihoʻi Ea gathering, and Kahaunaele, along with the other artists and speakers of the day, emphasized and demonstrated the importance of mele Hawaiʻi (Hawaiian songs and music) in the education of our people. 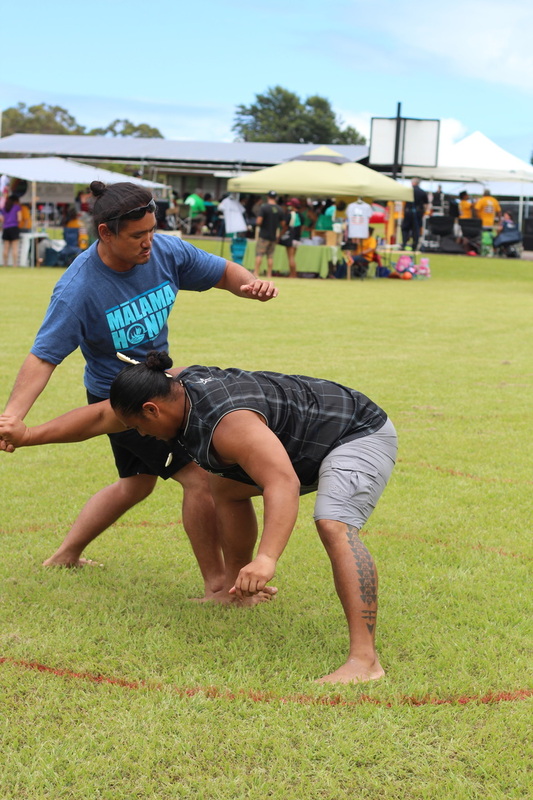 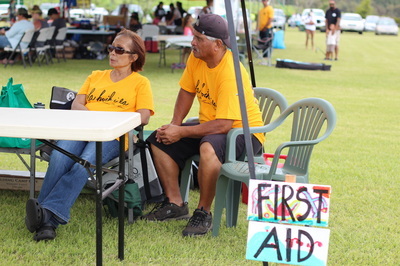 “For us, mele is a big deal. It’s our kuleana. 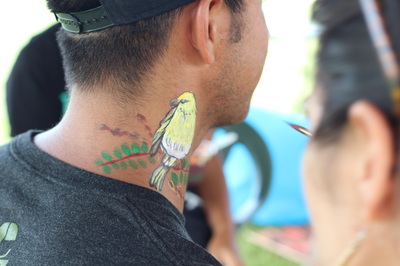 Not just to entertain you all today. So all the songs we choose, all the songs we sing are dedicated to our ‘āina, to our people, to our kūpuna.” “So I really appreciate you folks coming and listening to the songs, not just because it’s perhaps beautiful, but because it’s our way of demonstrating our ea.” And demonstrate our ea, we did. 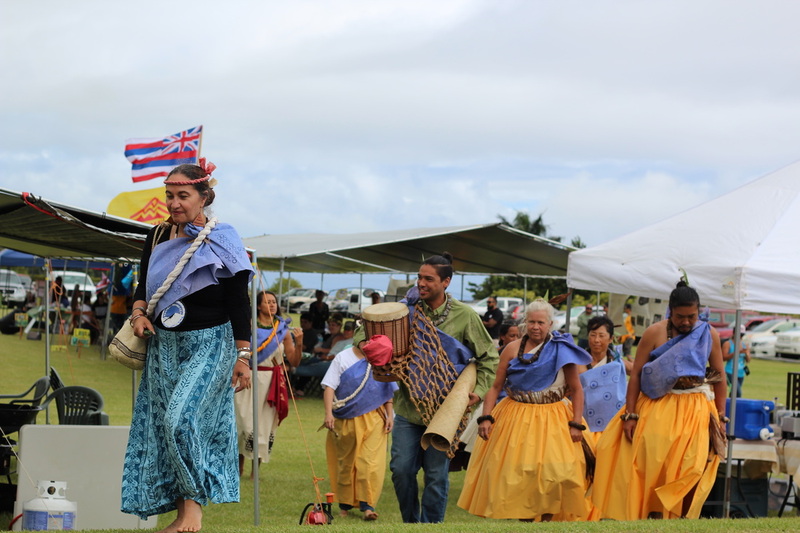 An estimated 350-400 people came to join in this inaugural revitalization of the celebration of Lā Hoʻihoʻi Ea in Paʻauilo, demonstrating the vitality of our ea on this island and in Hāmākua, especially. 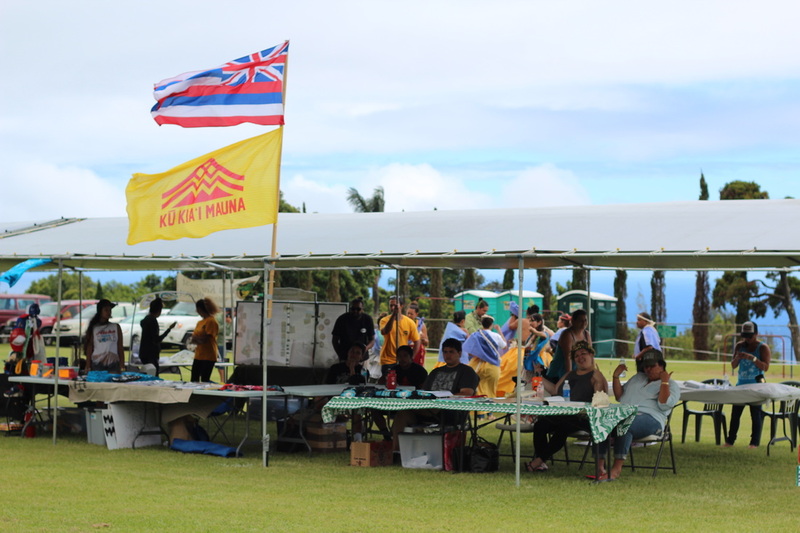 If you look up “ea” in the Hawaiian Dictionary, you’ll find definitions such as life, air, breath, sovereignty, and political independence. 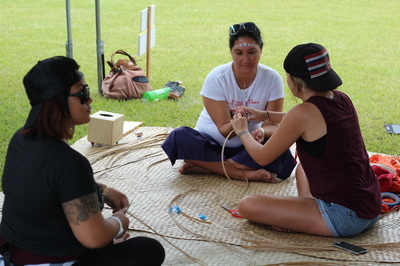 Ea, however, as ʻŌiwi scholar Noelani Goodyear-Kaʻōpua tells us, “is an active state of being.” It is the act of emergence, and like breathing, Goodyear-Kaʻōpua says, “ea cannot be achieved or possessed; it requires constant action day after day, generation after generation.” Ea is the culmination of generations of people and ʻāina living, breathing, and thriving together. 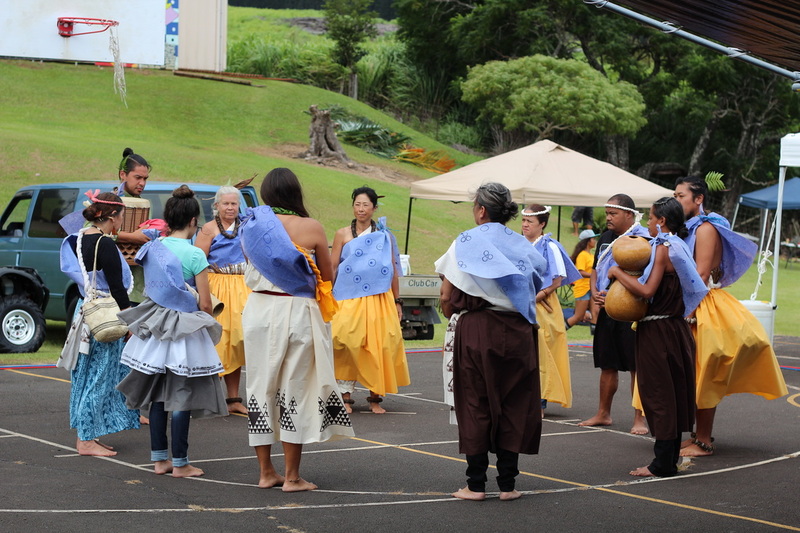 It is a state of being, cultivated over generations, in which the ea of the ʻāina is the people and the ea of the people is the ʻāina. And as the story of the first Lā Hoʻihoʻi Ea continues to remind us, the ea of a nation is its ability to inhale wisdom from its past and exhale life into its future—independent and free from the control of other nations to engage interdependently with our ʻāina, our akua, and our people. the Mauna genealogically. 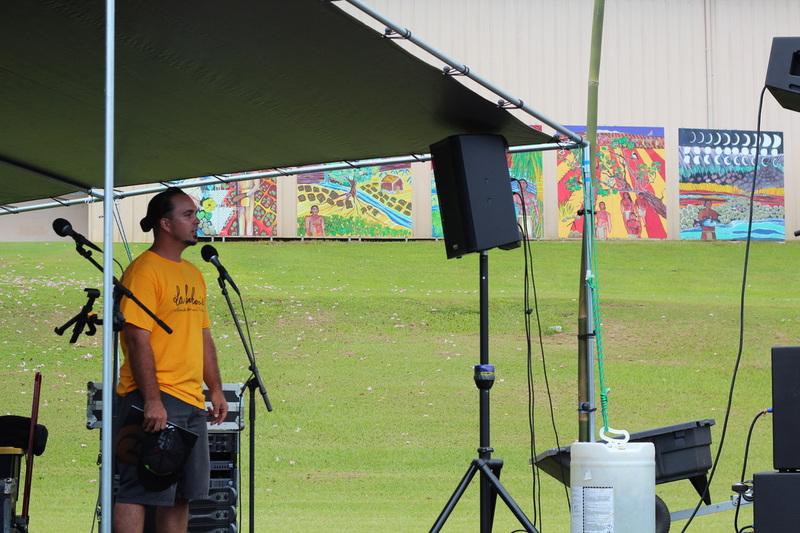 This chant set the scene for the rest of the day—a powerful sight to behold. Below majestic Maunakea in the uplands, ʻUmi-a-Līloa and his ʻohana, depicted in Paʻauilo School’s new mural, looked on from above. Hae Hawaiʻi (Hawaiian flags) danced along to the beat in Hāmākua’s familiar Aʻeloa wind, flying from flag poles made of ʻohe (bamboo) from Kaʻohe—Hāmākua’s largest ahupuaʻa, in which the summit of Maunakea is located. 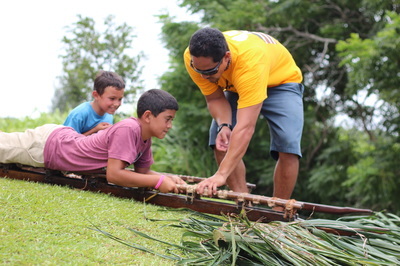 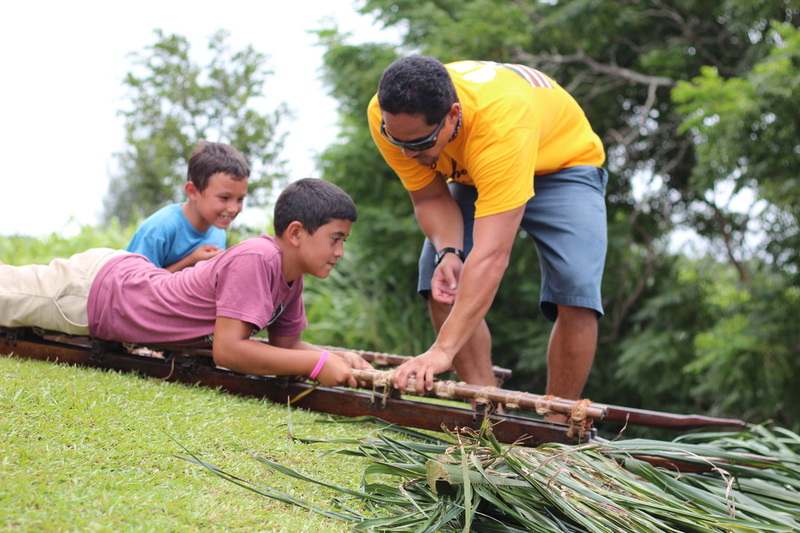 On the steep slope below ʻUmi-a-Līloa’s mural, children of all ages slid down the hill on hōlua (Hawaiian wooden sleds), and played other Makahiki games. 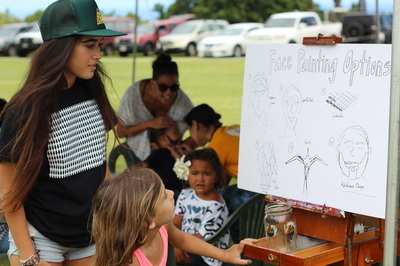 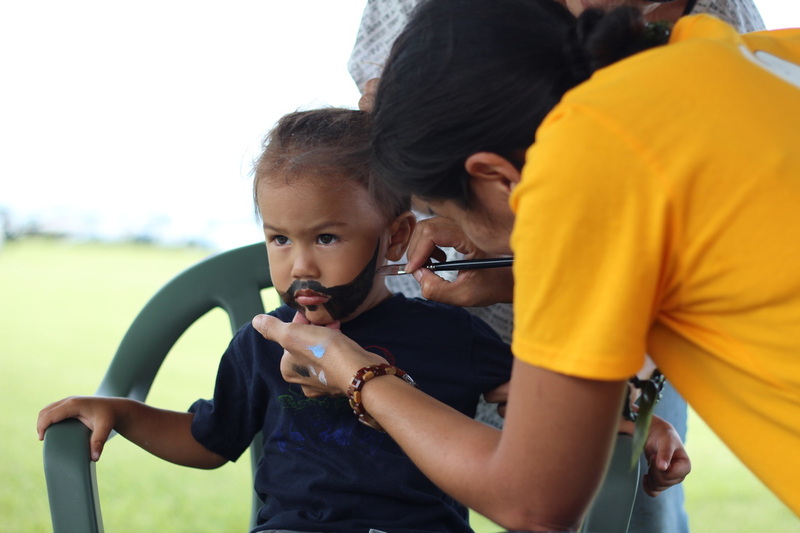 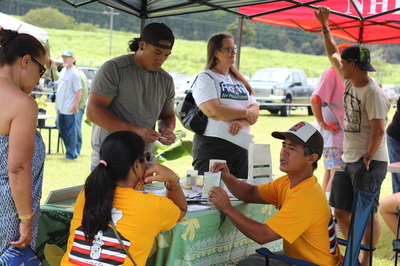 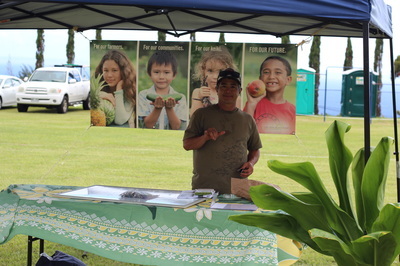 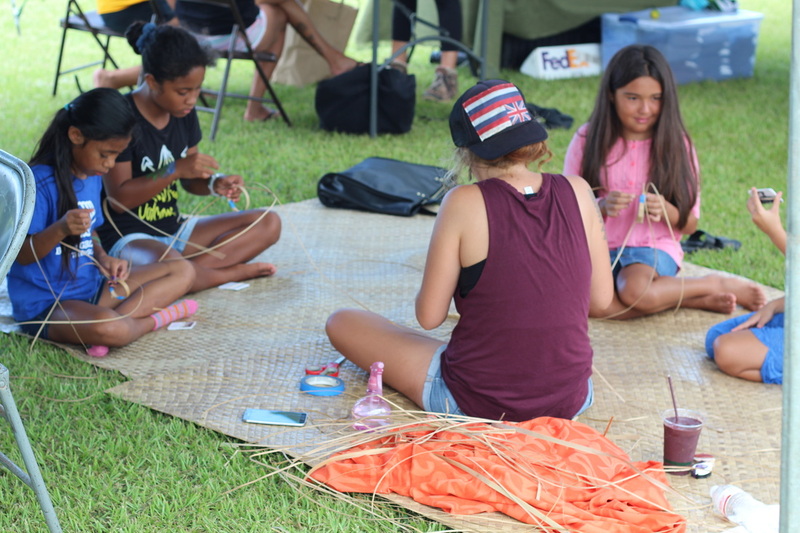 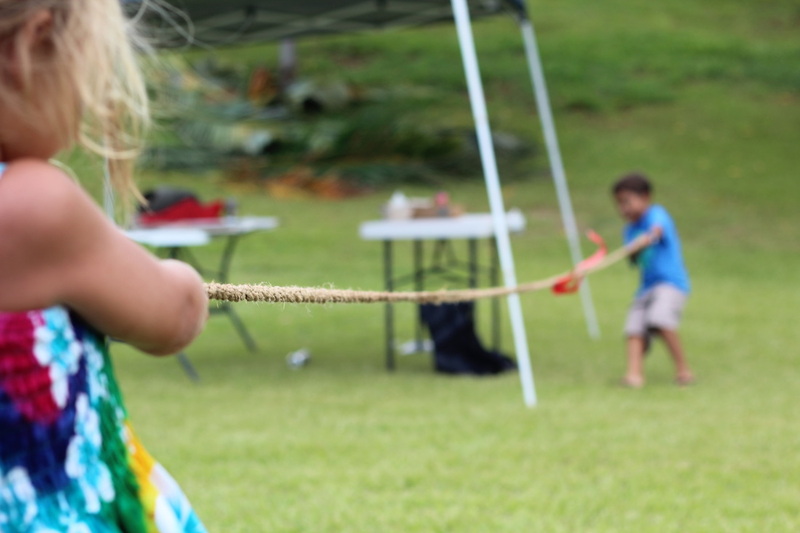 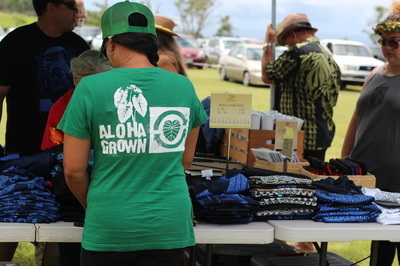 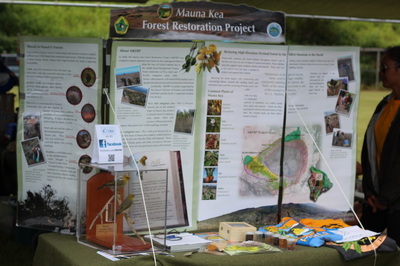 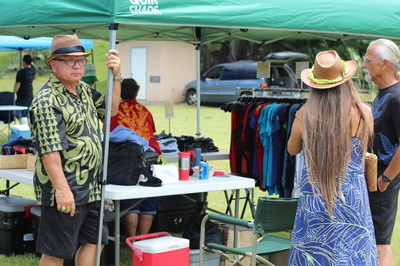 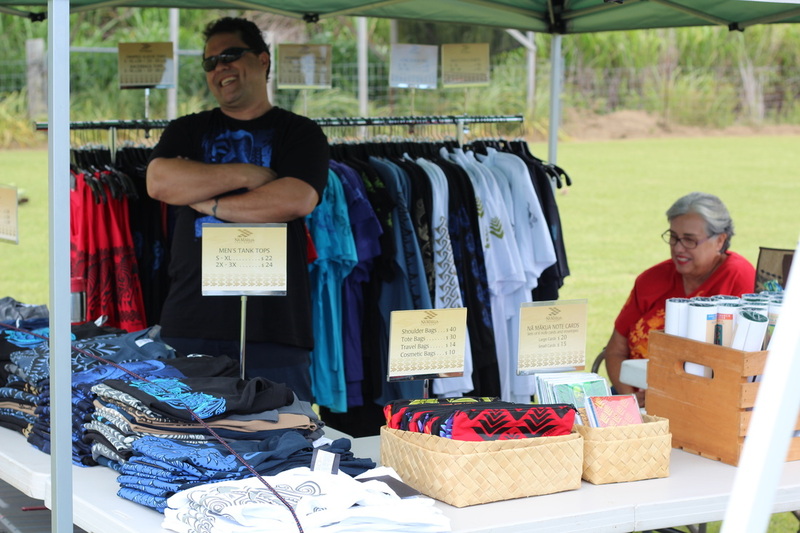 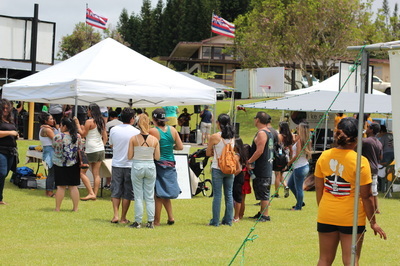 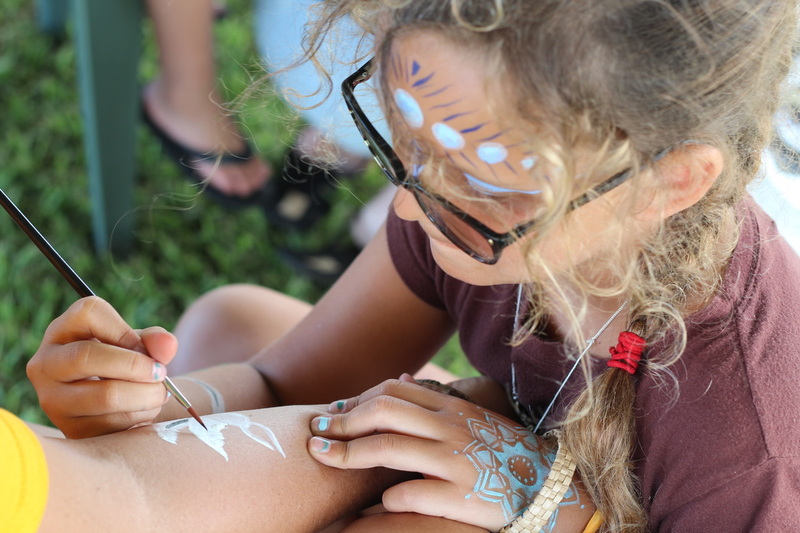 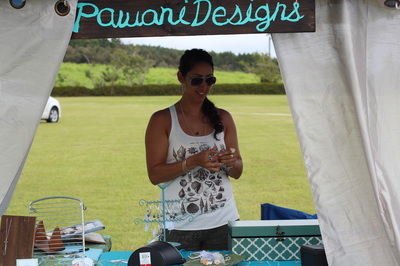 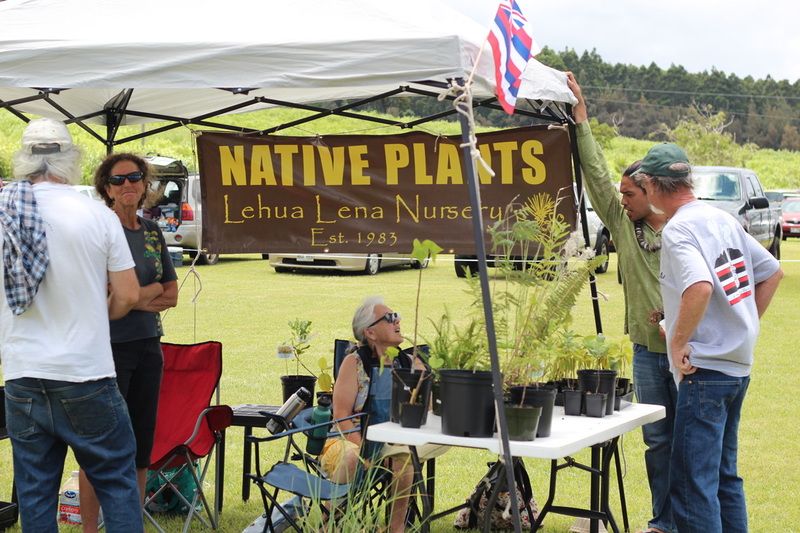 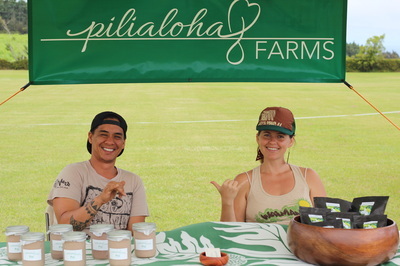 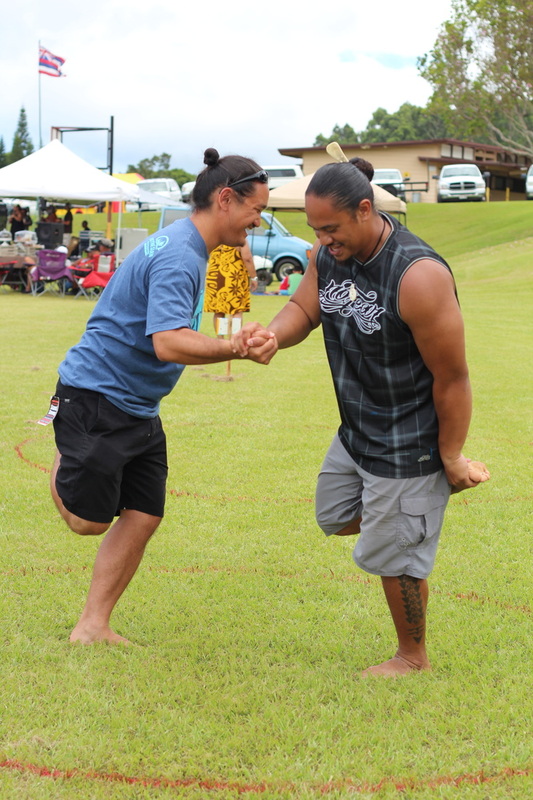 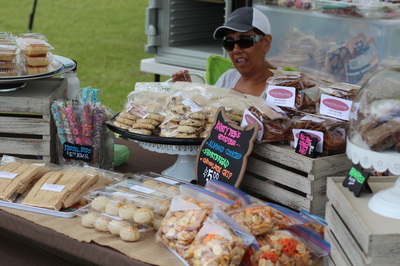 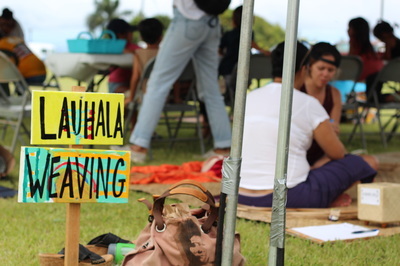 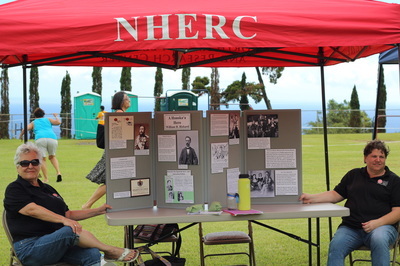 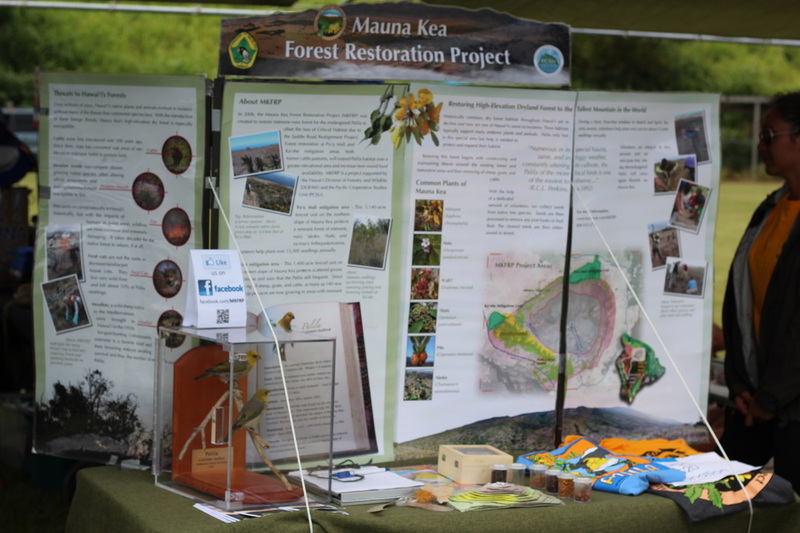 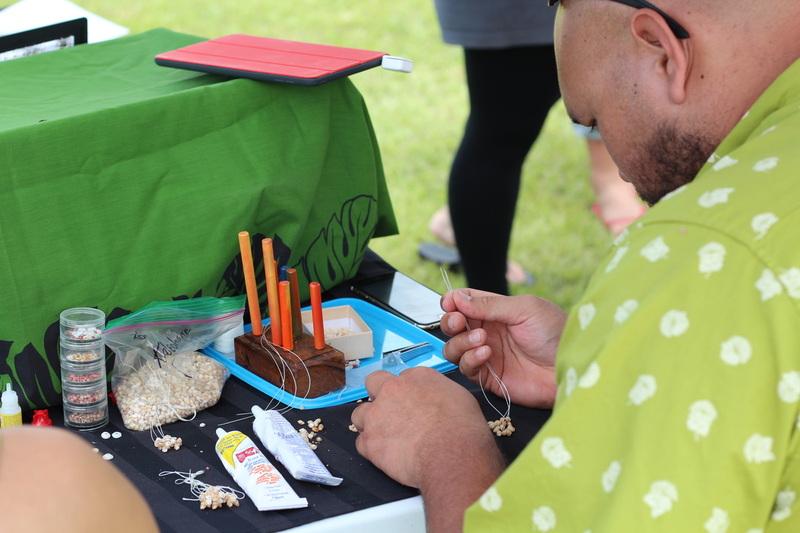 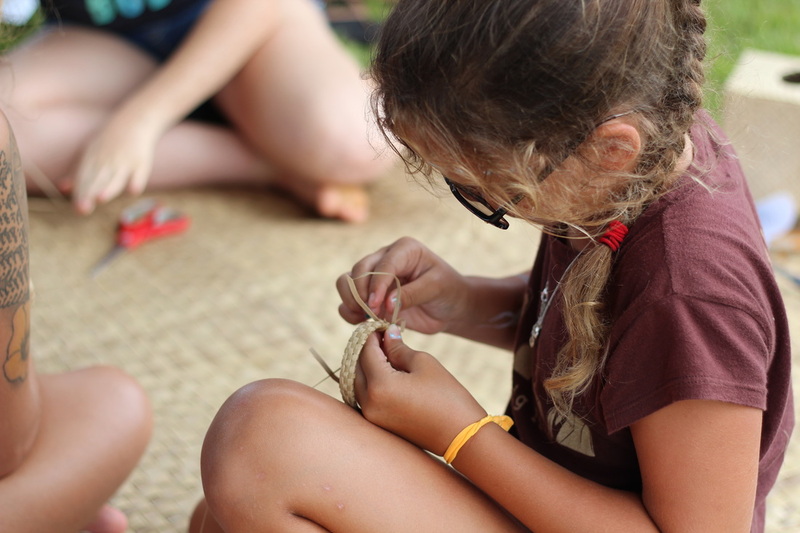 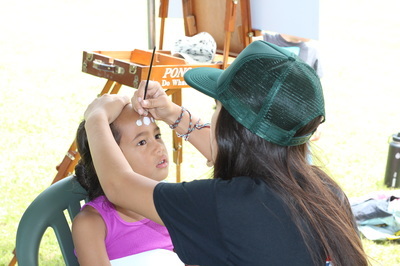 And forming a lei of ea around all the day’s festivities were local craft and food vendors, face painting and art activity booths, and EAducational booths that included information on Lā Hoʻihoʻi Ea, Maunakea, the ʻAha Aloha ʻĀina, farmer training programs, and one of Hāmākua’s historic aloha ʻāina heroes, William H. Rickard (presented by Momi Naughton from NHERC’s Hāmākua Heritage Center). 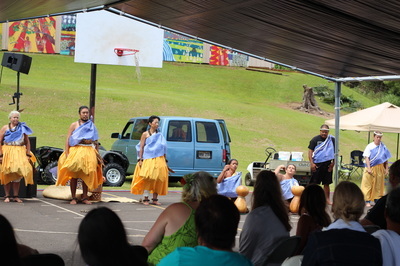 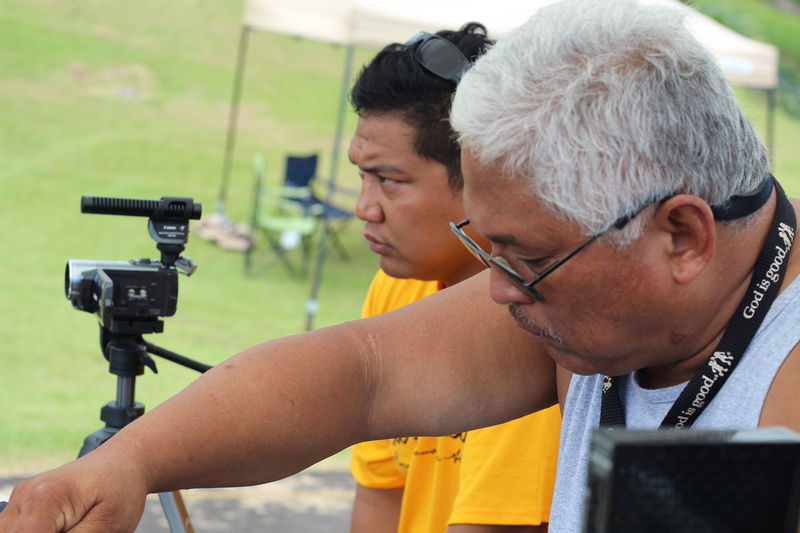 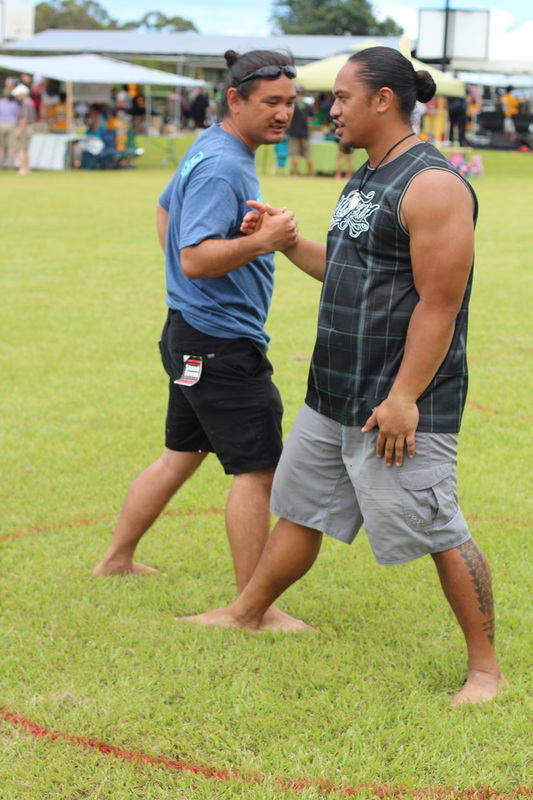 Hui Mālama i ke Ala ʻŪlili (on behalf of the Bailado, Alpiche, Dela Rosa, Dela Cruz, Honda, Kahakalau, Kailiehu, Travis, and Peralto ʻOhana) would like to mahalo Principal Kori Takaki, Arnold Sugiyama, and Paʻauilo School for allowing us to host this community event on their beautiful school grounds; Hawaiʻi People’s Fund for sponsoring the event; all the vendors, artists, and educators who came to share their abundance with our community: Hina Rae’s Café, Debbie Ebreo, Nā Mākua Designs, Pawani Designs, ʻŌhiʻalaka Artistry, ʻOhana Roback Pūpū Niʻihau Jewelry, Pilialoha Farms, The Kohala Center Farmer Training Program, NHERC, Pūlama Long, Brandy Serikaku, Kaila & Ivy Bermoy, Kuʻulani Muise, UHM Native Hawaiian Student Services, ʻAha Aloha ʻĀina, Mauna Kea Education & Awareness, and the Mauna Kea Forest Restoration Project; Uncle Kini Burke, Dex Alpiche, and Maikaʻi Kanui for running the hōlua and Makahiki games; the Lewis ʻOhana and Kealoha Kanopies LLC for setting up the tents; Paʻauilo Hongwanji for lending us chairs; Uncle Alfred and Aunty Ina Kailiehu for cooking up the ʻono chow fun; Mana Bailado for lending us tables and a generator; Uncle Dexter Alpiche for volunteering to run the sound system for the day; Glen Honda and our volunteer parking attendants & security guards for helping traffic flow smoothly all day; our awesome photographers: Alohalani Brown, Kaipo Bailado, and Eric Dela Rosa; and all the beautiful musicians and educators that volunteered their time and shared their ea on the #LHEHamakua2016 stage: Aunty Pua Case and her hālau, Jon & Jamaica Osorio, Ho-a, Kainani Kahaunaele, and Ryan Hiraoka & the RSP Crew. 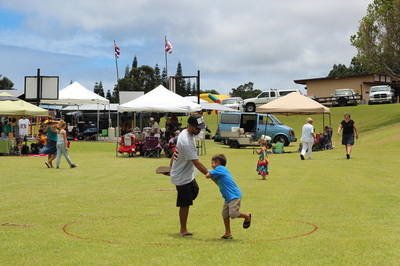 Until next year, mahalo nui iā ʻoukou a pau!